Another weekend passes too quickly. 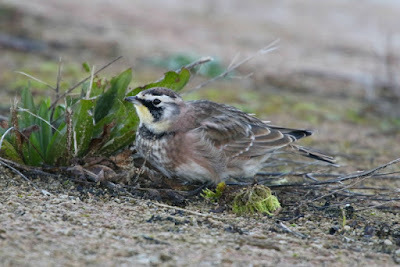 Yesterday was one of those typically grim, grey and wet days which seem to be standard at the moment. 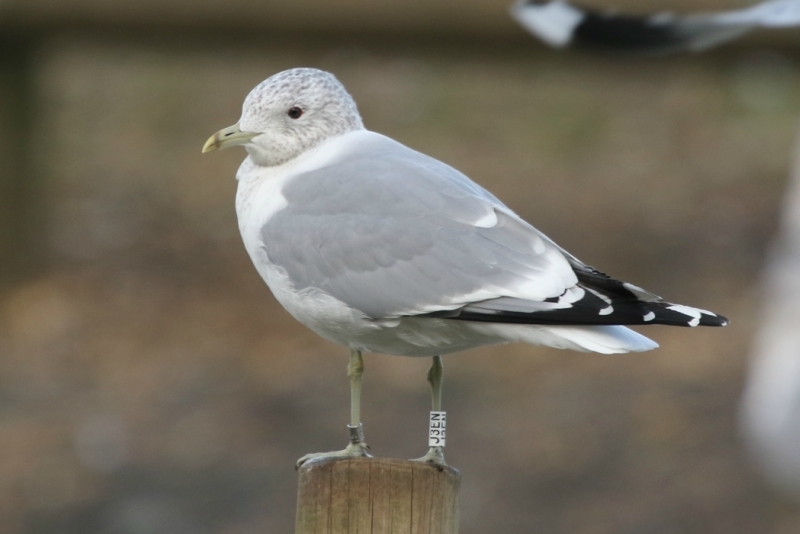 After a morning hosting a bunch of kids for Saturday detention, I headed off to Crayford where things were fairly quiet - just an adult Yellow-legged Gull of note - while back in Rotherhithe there was a new Polish-ringed Black-headed Gull T8VE. 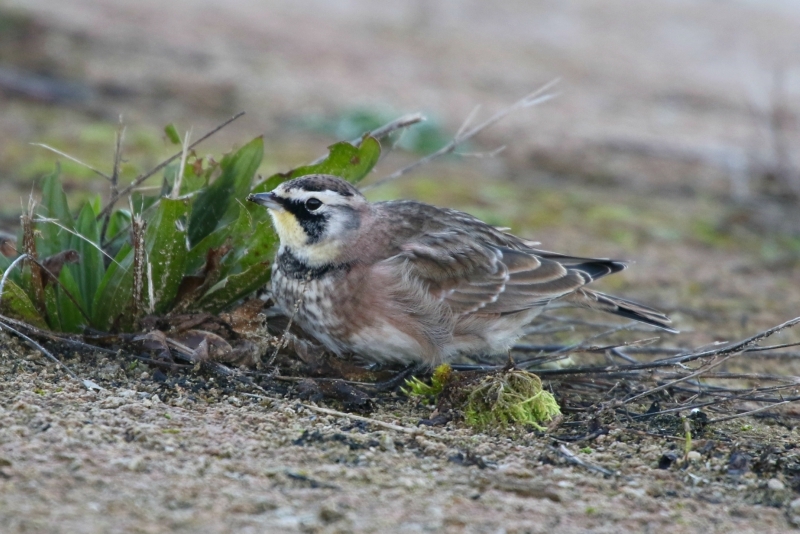 The Horned Lark was feeding actively along the causeway, completely unperturbed by the small crowd. 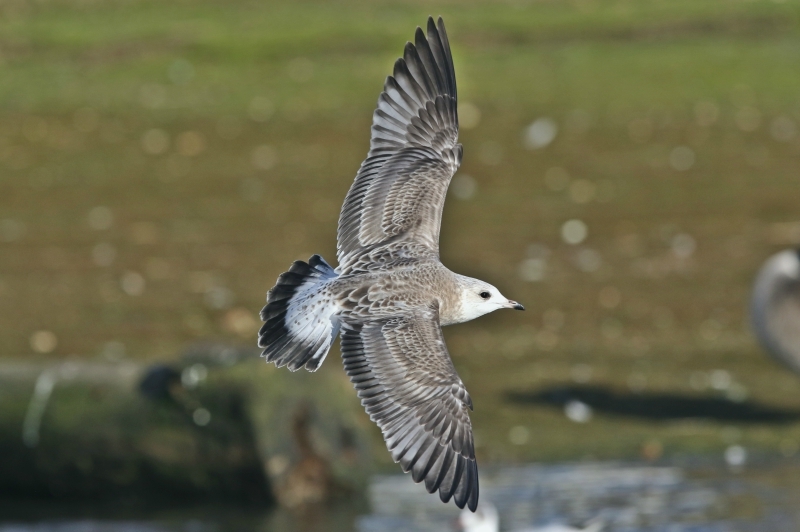 Though it spent most of the time on the south side, it did fly over to the north bank of the causeway where it showed really well with the light behind us. 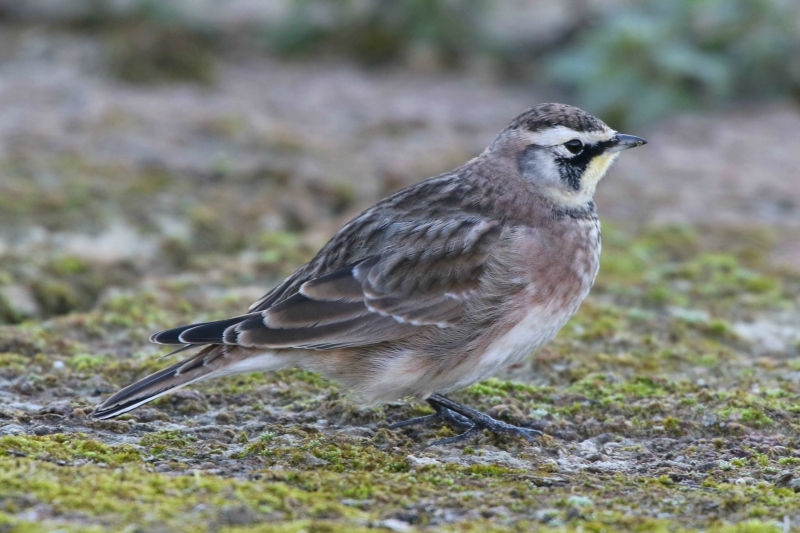 I did actually twitch over to Scilly in October 2001 for the individual there, which bar one on the Outer Hebrides, is I believe the only other British record of this North American (sub)species. Anyway, having seen a really distant Scaup and a nice close Goldeneye, I quickly realised that the reservoirs of West London on a February morning were predictably bleak. And so we headed round to more familiar surroundings - Crayford recycling centre! And just like yesterday, we left Caspian Gull-less. 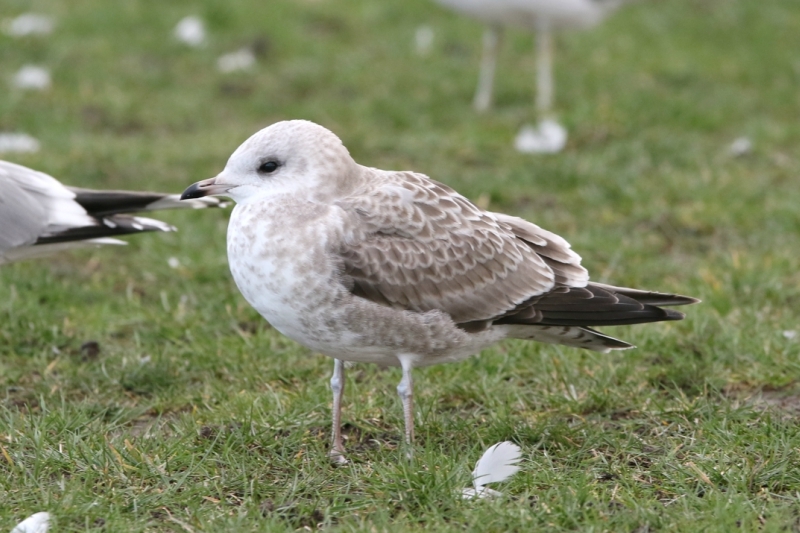 Just two Yellow-legged Gulls, an adult and a first-winter, the best in a large number of gulls present. 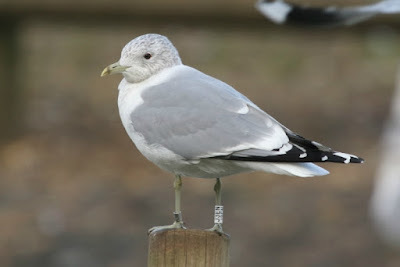 There was also an adult Lesser Black-backed Gull at Wanstead that had been ringed in Gloucester on 22nd May 2010. 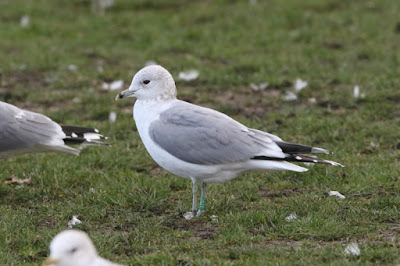 Back in Rotherhithe, just as it was getting dark, I pulled into Greenland Dock by my flat and saw the Polish Black-headed Gull (T8VE) from yesterday again as well as a NTGG ringed one too, and two metal-ringed birds as well (one from Germany and another BTO ringed). Five more days until half-term... bring on the gulls!